UnderdownBall is a full service real estate company specializing in appraisals, brokerage and property management in northwest North Carolina. We're committed to providing professional and accurate services enabling our clients to make knowledgeable and informed real estate decisions. UnderdownBall specializes in commercial and residential appraisals, rights of way, avigation easements and condemnation proceedings. UnderdownBall offers property management services designed to enhance asset value. Live in the heart of the Yadkin Valley and explore one-of-a-kind activities from wineries, breweries and music to rivers, mountains and trails. Your new home awaits! Our brokerage services assist clients looking to buy or sell residential, commercial, industrial, agricultural and special purpose properties. 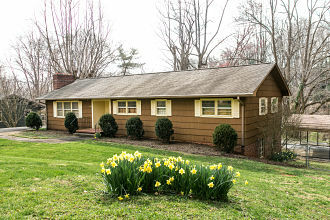 Well-maintained ranch-style home built in 1957 in the heart of Elkin and Yadkin Valley wine country. 4 bedrooms. 2 baths. Hardwoods under carpet. Walk to park, Elkin City Schools, historic downtown Elkin for dining, shopping and entertainment. Finished basement area. Two car garage. 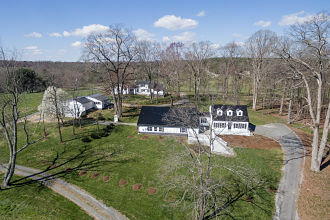 Beautiful country estate in the heart of Yadkin Valley wine country. Enjoy 3 pristine homes, frontage along North Little Hunting Creek, views of Buzzard Rock, walking trails, sitting/picnic areas, 17,458 SF Barn. Ideal equestrian farm, vineyard/winery, B&B or other special event space. 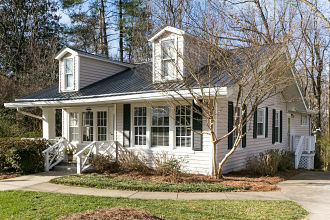 2 bed, 2 bath 1,430 SF bungalow on West Main St. near Historic downtown Elkin. Full of original details, this home was built in 1922 and sits on 0.44 acres of land. This home has been updated and well-maintained. Pristine original details 9 foot ceilings, moldings, hardwood floors.